Wife. Mother. Daughter. Christ-Follower. Chick-fil-a addict. Photography and gardening novice. Occasional crafter.Chocolate chip cookie-aholic. Fan of both books and movies and some movies based on books. Baker extraordinaire. This is sponsored content from BlogHer and Reebok. So the New Year is here! And of course, with that comes resolutions. Can you guess what mine might be? Since I just had another c-section baby, I've been left with a little extra "fluff" that I would sure like to lose! So this year my resolution is to get back down to a weight that I feel comfortable at and to TONE!!! Another thing is exercise. But with two babies under two years old I don't really know how I'm going to get out and about. I won't take them out in the bad weather, and I don't have the time to just go upstairs and jump on my treadmill. And then I had a thought...what about trying those new Reebok Easy Tones? They tone while you're doing whatever it is you do. I could wear them to the grocery store and even just around my house while I'm chasing the boys! I'm not sure it gets much easier than that!! What do you plan on doing this year to improve your health? Leave me a comment to enter to win a $100 Visa Gift Card! This giveaway will end on 1-16-10! Visit the official site and don't forget to checkout the BlogHer roundup page! I plan to make the most of my gym membership and just try to get plenty of exercise. I plan on using coupons (any ideas in a post I could refer to where they are all listed together? it seems overwhelming at first), and penny pinching all together! wish me luck! I'm going back to Weight Watchers and I'm staying serious with getting the weight off this time. I plan to try and walk more each week. I plan on taking my Thyroid medication everyday and not skipping days to save money! I've cut dairy out of my diet as well as refined sugars to hopefully help with some inflammation issues. I'm planning on joining WW again to lose the weight I've gained. Pay more attention to what I am putting in my mouth, how often I am putting it in my mouth, how much I am putting in my mouth and get out of the recliner and move more. I am going to start drinking more water and less cokes! Hopefully I can start Zumba back up soon and once it starts warming up, I'll go to the park and walk. I hope to Zumba at least 3 times a week. I have a treadmill that I'm going to use at least 3 times a week. Also, I'm using sparkpeople.com to track my calorie intake. i plan to start going to the gym with my husband when he goes. i have gained close to 10 pounds this Holiday and im ready to loose it! This would help me buy some of those shoes! I plan on maintaining the 96 lbs I lost last year with Zumba and working out. I also plan on running a 1/2 marathon and a full marathon in 2011! I am signed up for the Music country Road marathon in Nashville! It was very hard last year to get my mind right a take time for me...as a mom you know it is all about the family but I did it with amazing support of my hubby and family! I worked very hard and lost 96 lbs and feel amazing so now to keep it off and continue to reach and make new goals!!!!! HAPPY 2011 EVERYONE!!!!! I want to be in shape. Having 2 kids with in 18 months of each other does something to a womans body. haha!! I plan on just getting healthier. I don't want to make a specific goal bc then it is easier to fail, but better health is my goal! I plan to start walking with my hubby on his early morning walks. I want to try walking more, eat healthier and drink lots of water. I am doing yoga and running and trying to relieve stress in my life. I plan on hauling out my bike more often for moving about town. Thanks! Thursday I'm having extensive back surgery. Though I'm plenty scared, my goal is to trust the directions of my physical therapist. My usual all-or-nothing approach won't work for me here; I'm going to listen to the professionals to help me regain strength and stamina. I would like to walk more, I would like to relax more (less stess) and I would like to eat better and stop drinking all the sugary drinks. I started Couch to 5k yesterday (a running program). My mom watches the boys while I use the treadmill at her house. I'm sore, but I survived! Well I would love to walk more when the weather turns a little warmer. Would definetely love a pair of those cool Reebok shoes!! Get back to exercising at least 3 days a week. I plan to walk with neighbors once it gets warmer. Hopefully, that will come soon! I plan to start walking every other night!! It will be tough but I am going to do my best!!! My goal is to make it to the gym 3 times a week. My goals are to eat healthier, and to exercise at least 3 times per week... I would rather exercise outside, but it's been 20 degrees and below for a while now, so I'll have to dust off the elliptical! Im having a baby in Feb, so things get settled down its back to the gym classes for me! I had plans to diet and exercise but just found out yesterday that I am pregnant. I already have a 2 year old and 6 month old...eek. These shoes would definitely be a help with my resolutions! I am going to try to walk whenever I can. I plan on extending my daily workout from thirty minutes to an hour! What a great giveaway! I'm trying to do more walking this year. Girl, I just had a c-section baby too! i could definitely stand to get rid of that "fluff"! I plan on eating better as well. I've been eyeballing those shoes as well. I got a jogging stroller for Christmas so I plan on using that. I plan to use my gym membership more. I've been slacking!! I plan to work out 5x per week. I just adopted a dog from my local humane society. I plan to walk her at least five times a week. Good for her (Ana absolutely loves walks) and good for me. I'm going to stick to my Weight Watchers plan, and get off the couch more! Hey, what a wonderful giveaway. I am drinking more water, keeping sweets at a minimum and walking each day. Drink less softdrinks and more water. I plan on exercising more and making better food choices. I want to walk 3 miles a day at least 5 times a week. I am going to try Zumba this year. What do I plan to do THIS year...quit making excuses. I have some health issues that i have allowed to "drive my life" and has made me say "I CANT" for years. I have low strength and energy so I have told myself I CANT run a mile, CAN'T join a gym, CAN'T work out to a certain exercise video to completion. My goal is to quit saying I CANT simply because I cant do it ALL, and realize I CAN do a PART of it! I CAN walk to the end of the block, do a quarter mile on the treadmill, or do a video workout in parts...if it breaks me, I slow down...if it doesnt, I know it will help me build up to better endurance. Sitting and not trying is no answer! I'm gonna start eating better and EXERCISE for God's sakes!!! I am adding circuit training to my fitness routine. My goal is to run my first marathon by summers end. Let me know if those toning shoes work! I'm losing weight - have no choice - I'm ready to be my old self again!! I plan to walk daily. im trying to start running again! I've been taking the time to eat a healthier breakfast and I've been attempting to cut out snacks. I also plan on walking a little more when the weather gets better. I'm going to try to get more walking in! These shoes would help I bet! well I can't do much at the gym right now because I am in an arm brace after a big elbow injury but I am going to try to watch what I eat and mainly watch my portions. We shall see! I'm going to stick with the healthy eating habits I established last year and stick with my daily workouts--but increase the time on them so I get more out of them every day! Get to the gym more. Add more miles on my running this year as well. I have been walking everyday with our dog Nellie. I'm setting aside 15 minutes daily for deep breathing and relaxation exercises. When I feel more relaxed and balanced, I do a much better job of staying on track with all my goals, both health and otherwise. Plus I feel better. We plan on spending as much time as possible at our new Y when it opens later this month. This will be a way that the whole family can get in some play or exercise time. Thank you! I am trying to drink more water and eat less junk food. I plan on exercising at least 30 minutes a day, 5 days a week and losing at least 40 lbs this year. I would like to be in decent shape by the time I get to be 40 years old. I plan to continue my diet and exercise routine I put myself on last August. I have lost a total of 40lbs so far and I am so inspired. I am soon to be adding the treadmill to my routine and raring to go. I'm a Southern girl too, so I understand how hard it is to pull away from the bacon-sauteed green beans! I've pledged to steam all my veggies and take the 2 Golden Retrievers for a long walk after dinner every night. I am going to eat healthier food and walk more. As soon as the weathers warm again( new englander) I plan on getting out and walking as much as I can to lose weight. I'd like to start walking at least 3 miles, 4 times a week. Physically, I want to lose 30 lbs by June. This means using housework as cardio and moving more. Shut off the TV! I plan on pushing my workouts and trying to cook with more organic foods. I'm going to add steps to my day by only using the upstairs bathroom and parking far away from store entrances. I plan on exercising more and cutting out the soft drinks. I plan on continuing my regular exercising (walking 5 times a week) and cutting back on the caffeine. Not giving it up, just cutting back a little so I won't feel so sluggish when it wears off! I am going to try to be more physically active, esp. during the winter months. I notice as I age, I have less stamina. I always need to drink more water!! I have been walking more and those shoes would definitely take it up a notch! I do really well with the cardio, but I would like to add some weight training. My bigger goal for this year is to try and cut out as much processed food as possible. I've started tracking what I eat in a day. Don't know how long it will last but at least I will be aware of where I can cut calories. I want to eat healthier. I still need to lose some baby fat and my babies are 19 months. I've also been exercising at least twice a week. Trying to up that to 3 times a week. Ok sister, as my 2nd entry I read the boring ole rules. I definitely qualify! My new years resolution is to drop some of the 100+ pounds that I need to lose to be healthy for my little boy. 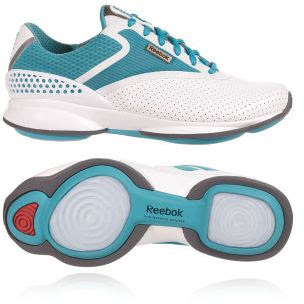 I would LOVE a pair of those reebok shoes and would actually spend my $100 on them. I just quit my job to stay home full time so a little extra ch-ching would definitely help! I plan to work with my physical therapist to see about safely increasing some of my daily exercises. with a 5 year old and new baby I plan to just stay busy and eat right! I am trying to eat only when hungry and eliminate eating when I am just bored. I'd love to give these shoes a try working in the healthcare field & being on my feet all day is killing me. I've spent tons of $ on different shoes & I still have terrible feet & leg pains after work everyday! I'm going to train for a half marathon, It's my goal vs resolution since i dont really do those, but I've heard these work great! I also tweeted about it! After many surgeries, one of them heart, I trained for a 1/2 marathon, I am back to training and I love the idea of the sneakers for you! I think it is a great way to start getting back in shape while you run around after your boys! Happy New Year! I plan to make my sleep schedule a priority! Mama needs a new pair of shoes!!! I need to make my treadmill less of a clothes hanger and more of a treadmill! I was diagnosed with diabetes Type 2. Our company has free membership at a gym which I am finally taking advantage of this year! I plan on walking daily and watching my carb intake. I plan to eat more healthier and drink more water. I also plan to stay Positive. i am trying to eat better! It seems that my resolutions are similar ot most of the other comments; I want a lifestyle change to occur in my family! We have committed to no more junk food in our house, eating more fruits and veggies, and smaller portions (that last one is for my hubs). I am also tracking how many oz of water I drink a day because I just know that it needs to be more than what I'm currently drinking. Last thing is that we have committed to pray together more and allow God to lead our way! I plan on drinking more water and eating more fruits and veggies! I'm walking again, and plan on doing more of it and more regularly! I'm also breaking out the dance/exercise DVD's to mix it up and keep my muscles guessing and working! I plan to buy a treadmill so I can walk even when it's really cold outside. I plan to workout and eat more whole wheat products. I am joining weight watchers and also joining a yoga class for sure. Love Yoga! I plan on doing more exersize and trying out Reebok shoes. I'm trying to cut out empty calories and replacing them with things that actually have nutritional value. So goodbye 100 calorie snack packs and hello apples and walnuts! I start using the gym at work on my breaks. I'm going to exercise more consistently. I'm planning on walking at least twice a week. I am absolutely determined to get back into exercising again! I hope to start running again. I've let too much time get between me and good exercise. I also have to stop eating everything! I plan to get more sleep and use the elliptical twice a week. I'm setting monthly goals including exercise. I'm hoping I'll keep them! I have a 4 year old and an almost 4 month old. I need some help to get rid of the fluff too! Fried oreos? That doesn't sound good. Although, secretly, I don't try fried pickles or fried Snickers for fear I might like them. Thanks for running this contest. I've decided to limit myself on my sugar intake. Together, with other healthy diet changes, I'm hoping to drop some unwanted pounds. I'm pregnant with #2, due in May. I probably won't do much until I have the baby, but after that I plan to start running again in earnest. My number one fitness goal this year is to be a better role mole for my two kids. They look up to me in so many aspects. I want to create a more fit, healthy dad that will be around for many years to come. I plan to get a wii fit. I think it will be a fin way to get some extra exercise. I plan on just eating better! Mainly trying to eat 3 meals a day so that I am not starving when I get home from work every evening. I'm planning to grow my own vegetables, walk further than I do now and eat less than I do now. I sit most of the day at my job. I need to make time to go for a walk several times a week. Exercise 3 times per week and drink more water! DISCLAIMER: Some or all of the giveaways and reviews may be compensated in the form of cash, gift cards or items for personal use. Designed by Munchkin Land Designs. Copyright 2011. All Rights Reserved.